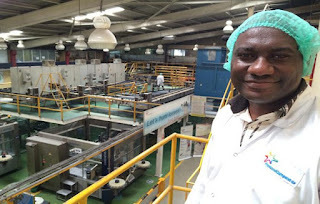 Friesland Campina WAMCO is transferring knowledge, skills and new information to dairy farmers in Oyo State through its Diary Development Programme (DDP). This time, the dairy maker will bring the Farmer2Farmer programme to Nigeria to have a unique engagement where certified dairy farmers from the Netherlands train Nigerian farmers on best dairy farming practices. The Dutch farmers will engage local pastoralists on dairy farming practices like animal health and welfare, farm record keeping, feeding and watering, calf-rearing, milking hygiene, cow fertility, hoof care, housing and barn design. It will run for two weeks. This programme was launched in November at the company’s DDP operating communities in Oyo State. One of the objectives of FrieslandCampina WAMCO’s Dairy Development Programme, of which the Farmer2Farmer programme is part, is to make the dairy sector more attractive for younger generations. During the mission, training, technical assistance and essential consultancy services will be given to farmers and local extension workers that are engaged by FrieslandCampina WAMCO. The programme will also provide intensive practical trainings and guidance for selected dairy farmers who rear crossbreeds on their farms. Each of these farmers will receive two days of specialized training on how to achieve the best yields. “Ultimately, we have created a platform where expert dairy farmers and their local counterparts talk to each other in the farmer’s language to improve their farm practices, co-create solutions to issues and generally learn new and better ways of dairy farming. Beneficiaries of this training will in turn train other farmers to help improve Nigeria’s dairy farming industry” Famurewa said. Through the Dairy Development Programme, FrieslandCampina WAMCO continues to share knowledge, improve the livelihood of local dairy farmers and ensure that Nigerians have access to affordable, safe and sustainable high-quality dairy products.